The Airborne Mind Show is a place to get your ear candy. We help you flex your creativity and connection through these conversations. We can’t promise to be useful. But we can aim to add some depth to your day. Even if it gets weird sometimes. We talk about fitness, nutrition, psychology, creativity, business, and so much more. Uncut and Unfiltered, let’s explore. 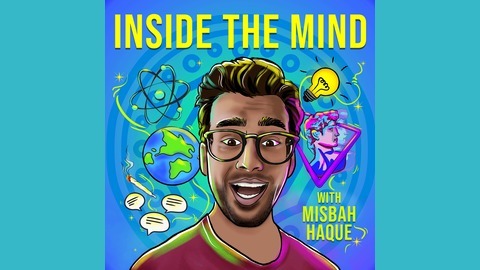 Your host is Misbah Haque, Coach at Revival Strength, Stand Up Comedian, and a serial podcaster. 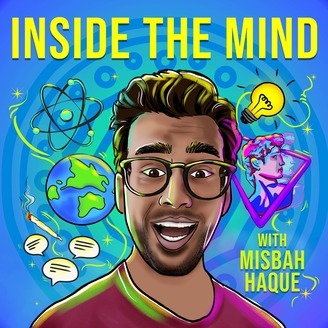 You can find his other podcasts by heading over to mizhq.com. Or search for: Look Good Move Well and The Unfiltered Human. For today’s episode of Miz Unfiltered, I’m joined by Kelsi Gotauco. She is nutrition coach and a former cheerleader for the New England Patriots. We discuss sticking to your resolutions, eating to fill a void, food cravings, and much more. Miz Unfiltered is a series in which we freely explore Miz’s thoughts on almost anything from fitness to anything outside the box. This episode is brought to you by Revive-Rx. Their supplements help me stay fueled and help me live the motto of #lookgoodmovewell. I personally am a huge fan of the Recover Strawberry, which I use immediately after my training sessions. Use the code “miz10” to get 10% off your purchase. If you wanna grab any book we’ve talked about in the past, head over to theairbornemind.com/readinglist. You’ll see all the books recommended from each guest. And if you want you can get a free audiobook and 30 day free trial there as well. If you enjoyed this episode, please leave a review on iTunesand lemme know what you think. It would really help me out so I can continue creating awesome stuff for you. And remember the greatest compliment you can give is by sharing this with someone else who might enjoy it or somewhere on the web. Once again thank you for being a listener and supporting the show. Until next time. #106 - Social Media: Friend or Foe?